One of the world’s leading pianists, Peter Donohoe makes his first visit to The Apex along with a welcome return from the European Union Chamber Orchestra on 31 January. The European Union Chamber Orchestra gave its first concerts in 1981 and soon gained an international reputation as a musical ambassador for the European Union. EUCO draws its members from Europe’s finest young professional orchestral players, and the result is a chamber orchestra that plays with the panache of a virtuoso soloist and the commitment of a top string quartet. It regularly performs in major concert halls throughout the UK and has broadcast several times live on BBC Radio 3. “I cannot imagine a living pianist capable of improving upon Donohoe’s outstanding artistry” (Robert Matthew-Walker, Musical Opinion). The use of the Don Juan myth makes Boccherini’s ‘The house of the devil’ a remarkable symphony with musical-historical interest. Its attempts to transfer the story from the stage to the concert hall practically guaranteed a favourable reception, as familiarity with the myth was a prerequisite of cultural literacy in the 18th century. Mozart was a fine pianist (and violinist) and, during some difficult years in Vienna, he earned his living performing his own works. The first movement opens with a wonderfully up-lifting theme and enjoys sunshine throughout, but the playfulness becomes tinged with a Mozartian seriousness towards the end of the final movement. Grieg was a successful song writer, especially with text relating to Nature and his Two Elegiac Melodies 'Wounds of the Heart' and 'The Last Spring' are arrangements for string orchestra. EUCO play at The Apex on Thursday 31 January at 7.30pm. Tickets are £26 and £21, with £5 tickets for those aged under 25. 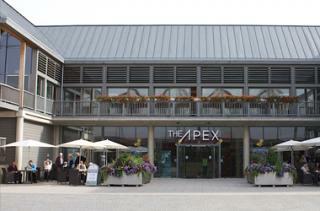 Ring the box office on 01284 758000 or see www.theapex.co.uk for more information, or to book.